To celebrate the 65th anniversary of the first climbers to reach the summit of Mount Everest in 1953, London’s Sweat by BXR will be hosting the ultimate climbing challenge; the SWEAT Everest Challenge. Taking place in its highly acclaimed Versaclimber studio between Monday the 28th May and Sunday 5th June, this challenge will push challengers to the max and allow participants to fulfil a once in a lifetime achievement. 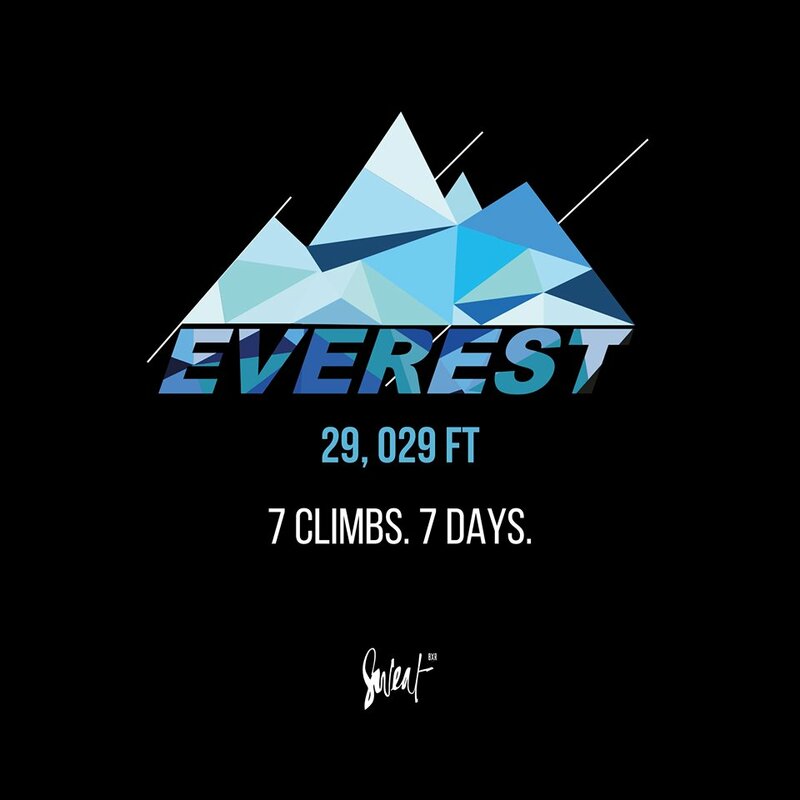 The SWEAT Everest Challenge celebrates the achievements of Sir Edmund Hillary and Tenzing Norgay who first climbed 29,209 feet to reach the summit of Mount Everest on 29th May 1953. They became the first climbers to reach the top, and to honour this historic milestone, the Sweat by BXR team is challenging participants to become the first climbers to match, or exceed the distance over the course of a week, using a Versaclimber. Those who take the challenge will have seven days to complete up to seven climbs in Europe’s first state of the art Versaclimber studio. After each completed climb, users will be asked to record their distance by photographing their Versaclimber console screen and sharing their result with the Sweat by BXR team, who will be monitoring each participant’s progress to determine who reaches the summit first. Mimicking the natural motion of climbing, the Versaclimber activates all major muscle groups, whilst strengthening muscles, improving posture and balance, and burning a high level of calories for a fun, energising and highly addictive workout. The challenge is open to all ages and fitness abilities, from the complete novice right through to the more experienced climber, and is open to members and non-members. If you think you have what it takes to reach the top, sign yourself up to the ultimate challenge, and give it all you’ve got!